En San José, California, la Riviera Nayarit brindó capacitación a 50 agentes de viajes. 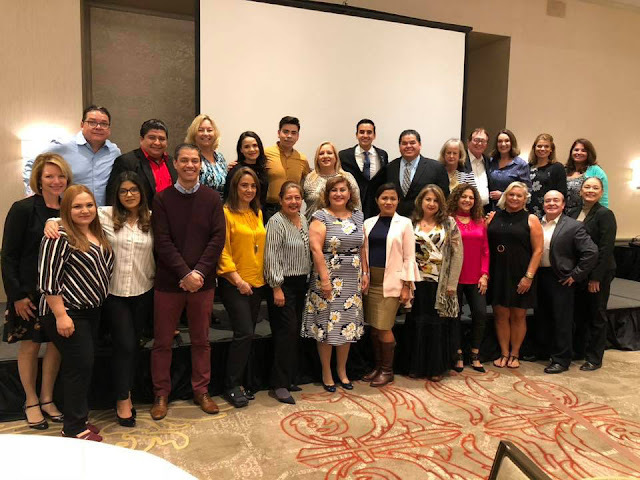 The joint Puerto Vallarta-Riviera Nayarit road show visited Sacramento, Walnut Creek, and San José; 21 regional hotels also participated. 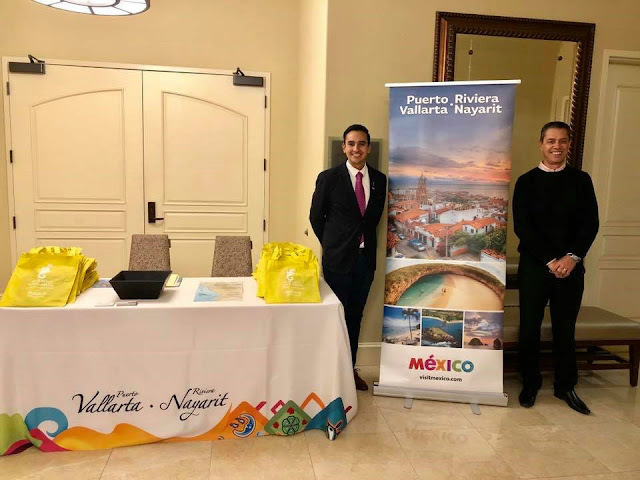 The Riviera Nayarit Convention and Visitors Bureau (CVB) and the Bahía de Banderas Hotel and Motel Association (AHMBB), together with the Puerto Vallarta Tourism Trust (Fidetur), held the California Road Show in the northern part of the state during the first week of November, reaching over 130 travel agents. The goal is to attract more and better tourism to the region. The tour is part of the Promotional Plan that Mexico’s Pacific Treasure is carrying out with its sister destination, Puerto Vallarta, with the support of the Mexico Tourism Board. This joint promotional trip was very productive as representatives from both destinations were had an opportunity to share the advantages and attractions of vacationing in the Puerto Vallarta-Riviera Nayarit region with an important group of travel agents. They also received important media exposure. The activities began on Monday, November 5th with a dinner seminar for 45 travel agents from Sacramento and the surrounding areas; the tour continued on Tuesday the 6th in Walnut Creek, where they offered another dinner seminar and training for 40 travel agents from that city and its surrounding areas. 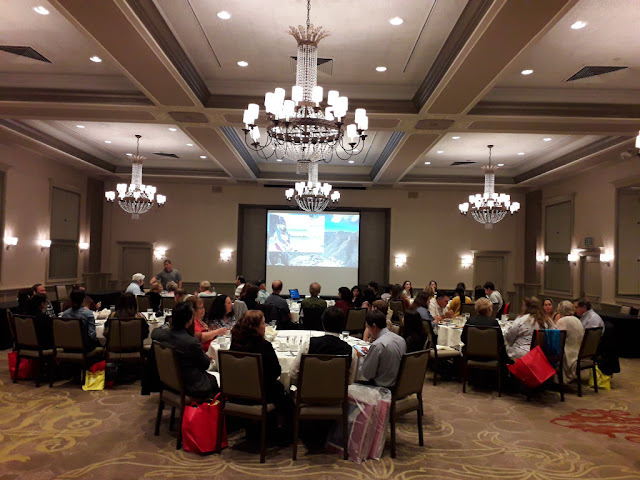 The tour closed on Wednesday the 7th with a final dinner seminar for 50 travel agents from San José and the surrounding areas. Though there is no direct connectivity to the region from any of these cities, connections can be made via San Francisco or Oakland (relatively close by) or other cities within the United States including Los Angeles, Phoenix, Orange County or San Diego; or within Mexico via Mexico City, Guadalajara or Tijuana. There were 21 hotels participating in the event—a testament to the importance of this market. Hotel reps in attendance from the Riviera Nayarit area included staff from Paradise Village, Occidental Nuevo Vallarta, Grand Velas, Riu, Samba Vallarta, Reflect Krystal Grand, Royal Decameron, Palladium, W Punta de Mita and Iberostar Playa Mita. There were also representatives from wholesalers ALG (Apple Leisure Group), All About Tours, Classic Vacations, and Delta Vacations, as well as Pleasant Holidays and Travel Inn. Airlines Alaska Airlines, Aeromexico, and Volaris held complementary activities to incentivize agents. California continúa siendo el mayor emisor de turistas de Estados Unidos a la Riviera Nayarit. California continues to be the top state of origin for tourist from the United States to the Riviera Nayarit: more than 27% of all the visitors from the North come from the “Golden State.” It also has the best air connectivity. The majority of the travel agents attending sell both destinations very well; some of them have already sold groups for upcoming dates. The Riviera Nayarit Convention and Visitors Bureau (CVB) and the Bahía de Banderas Hotel and Motel Association (AHMBB) work hard at promoting the destination with the support of the Government of the State of Nayarit via its Tourism Promotional Trust (Fiprotur).